Hey guys! It’s that time of year when there are a lot of cool gifts and inexpensive finds in Second Life! This year I want to showcase some of them. I am currently working on a HUGE post on the Peace on Earth 8 hunt – that should be up within the next day or so. PurpleMoon Creations currently has an Advent calendar that started on December 1st, and will go all the way up to the 24th. What I liked about it is that if you miss a day, you can still get the items. Thank you to all of the stores who allow people to still have access to your wonderful gifts after the day is over, and do not make you pay for each gift ^^ I decided to let Eve model the PurpleMoon clothing, since she is in the group and I am not. What I think I will do is to keep updating this page with all of the Purple Moon gifts as they come out. That would be easier, right? Hey guys! I have wanted to talk about [LIFE2] since the beginning of the summer, but as we all know, things happen. I was introduced to this interactive HUD probably because I like food – and there is a lot of it for LIFE ^^ I am not sure when LIFE started, but I do remember at one point there were merchants advertising “LIFE-friendly” furniture and the like. I went to the Life Sim earlier because one of my friends had recently rented a new place, and I had the idea to show him a place that resembled a RL supermarket. He was excited because he saw many things that could be used as home decor. Some people may like the fact that in Second Life, we don’t need to sleep, eat, or shower. Others may want a more “realistic” experience to bring people closer together. So what do you get when you buy LIFE2? As some of you may know, I’m getting back into the routine of things after I had to leave SL for a time. I’ve been checking out various shopping events, and I have noticed something. At about every other event I’ve been to, people stand right at the landing point. At one event people were on voice chatting. If I did not have “Fly” enabled, it would have had been hard for me to “land” onto the sim. When I asked some people about this phenomenon, they basically said, “Oh this is becoming a thing at events…to be seen”. Really now? I don’t know about you guys, but I go to shopping events to shop, not to be seen. What bothers me about shopping events? Now, I’m reasonable. Sometimes you get caught up in trying to rez where you are walking before you take those couple of steps away from the landing point. Other times, your computer might freeze, and you are unable to do anything – never mind trying to move out of the way. But if people are carrying out a conversation right in the landing point, there should be people there to give them a bit of… incentive to get out of the way. Again – I’m reasonable, because this is not always possible. But there was one event where someone appeared to be away at the landing point. I went there before I went to sleep for the night, and went back in the morning. The person was still there. There is an event out now that is simwide, and yet people are unable to fly around it. When I saw that, I tp’ed right out. This event does not seem to have any event website coverage, and I really don’t feel like reading a ton of blogs just to see what is being offered at this event. If your design requires that people do not fly around to see what is being offered, then perhaps you need to reconsider your layout. There has been only a few events that I’ve been to where not being able to fly did not make a negative impact on event. If you require privacy in the upper (or lower) regions of the sim, then maybe take the event someplace else? Make it smaller? I don’t know, but in 2015, this should not be an issue. Let’s face it – the reason why so many people are participating in events nowadays is because of cross-promotion. Merchants have even stopped making regular releases in their stores because they make more at events (even though this is not such a good idea). If the event does not make arrangements to showcase what is being featured, then why go to the event? This is a hard one, and now that I have my new computer, I understand better why some event coordinators do this. Depending on your graphics card, you may be able to handle lots of high rez/high scripted items without your computer slowing down or crashing. So sometimes, people get carried away in the visionary aspect of the event, and not think that the average person in SL may not have a $2,000+ computer to render everything in an ideal fashion. There have been times where I get early access to an event, and it’s laggy with less than 10 avatars on the sim. I think all events should be optimized to handle large crowds in a reasonable fashion. A good way to see if lag is due to your computer unable to handle a lot of objects or if the sim is at fault is to check the sim’s time dilation. This can be found under Statistics. How does this affect you? The lower the number is, the slower you will move on that sim. If the time dilation on the sim is 0.5, you will move at half the speed you are normally accustomed to. At the place where I work, some potential renters complained that the sim was laggy. I personally didn’t really feel it, but when I checked the time dilation, it was 0.7-0.8, which indicated that the sim was not that great (it should be at least 0.9, if not closer to 0.99). It turned out that there were griefer objects on the sim that had excessive scripts, which lagged the sim. A while back, I went to an event which had no maps of the sim and where the stores were located, and no fly was enabled. After a while I gave up in frustration because I could not find anything. I think it’s crucial that the event should be set up in a way where people can find stores with relative ease. There shouldn’t be “dead spots” where if a person doesn’t turn just so, he or she completely miss like 5 stores. If you are going to do that, at least enable fly so that shoppers have a chance. When it comes to brand recognition, price of the products sold in a business is one of several components involved. For instance, many of us know that a pair of jeans in Old Navy, The Gap, and Banana Republic will be at different price points, just based on the name alone. If a pair of Old Navy pants was suddenly marked up to the same price as Banana Republic, people would not buy them, and would probably feel like they were being ripped off. But in order to feel like this, you would have to already be familiar with their brand. The same applies in Second Life. Let’s say Store Y sells dresses that normally go for $L300 at their main store. At Event Z, the dress is being sold for L$450. The dress doesn’t seem to have substantial detail that would warrant a significant price change. A few months later, you go check out Store Y to see what’s new, and the L$450 dress is now $L300. Raising the price on something doesn’t automatically mean it has more quality. Another scenario: Store X will sell a dress for L$70 at Discount event A, $L140 at Event B, and $L250 at Event C in a 6-week period. Where do you go to buy the dress? Or rather, where would you rather buy the dress, and how would you feel if you paid top Linden at an event for something that was cheaper last month at another event? To me, this sort of practice devalues your item – what is it really worth? For those who say “Whatever people are willing to pay”, just give consumers a choice at which price point they want to pay, and see the true answer. Everyone has the right to look at real life trends in fashion and come up with ideas for Second Life creation. But when too many people get inspired by the same trend, it can get repetitive. Especially when the designers are being featured in events within the same period of time. For instance, let’s say the hot trend right now in hair are ponytails. Stores A-E all debut their version of the side ponytail. All of them look great, and people might have their preferences due to quality and/or brand loyalty. Imagine if all of these stores were at the same – no, let’s say they were at different events within the same month. If you were looking for a center part ponytail, or a low ponytail, you may be out of luck if none of the designers did any additional releases at their main stores. Now let’s say if three of these stores were at the same event. The average shopper may not realize that all of these stores had new ponytails for this particular month. But when they are all side by side, it would be hard not to notice. Sometimes people may go, “Hey! Store B copied store A’s design!” And thus, drama peruses. …it pretty much says it all, don’t you think? What are some of the things that annoy you at events? Feel free to leave a comment below! Hey guys! As I said in my previous post, I am happy to be back in Second Life, and blogging too ^^ It took a lot for me to be able to get back online, and I think I may talk about my experience with getting a custom built computer in another blog post. To be honest, it’s not all that it’s cracked up to be. The last time I was away from Second Life for ~ 2 months, I came back homeless (twice over), my best friend at the time had moved in on her girlfriend’s sim and wasn’t overly concerned about my well-being even though she lived with me before, and I lost a number of “friends”. To people who delete just because you haven’t seen them online in a while (and don’t ask about their well-being), you’re not really a friend. This time however, my close friend and roommate not only kept our residence and my photo studio afloat, she even helped at the rental place where I work. Thanks, Bunny! 🙂 Another notable good friend is Khitt– I liked how she would send me tidbits of information from time to time to keep me in the loop of things. Thanks, Khitt! 1. How much has SL changed since the last time I’ve been here? 2. Are my friends still my friends, and are they around? 3. Did my favorite store/club/sim close? 4. Do I need a new wardrobe? 5. How long will it take me to get back into the swing of things? 6. Is SL worth staying around, or am I good without it? Even in real life, when we leave our hometown for a time and then come back, we notice all of the changes that took place. Certain streets look completely different because most of the old stores closed and changed into something different. The neighborhood’s demographics may have changed, which also influences what kind of businesses open. Do the changes make you miss the neighborhood, or do you just miss what it used to be and you are ready to move on? Hey guys! As I hinted in my previous post, here is a list of stores & locations that you should check out for the holiday season. It’s top to shop ’til you drop, but not lighten your wallet! They have several hairs – check to see which ones you get because they have old gift hairs out as well. Analog Dog has several curly hairs for 0L – whole fatpacks. They are indicated by the green vendors. I believe the pink vendors are 50% off as well. I am not sure when this is going to end so better hurry over there. Check out all the items that the hunt has! From what we saw as we were looking, Kamrain Properties has houses for rent anywhere from 550L to 1250L a week. This is just for the winter houses – they have summer ones as well. Most are furnished, and some are not. For instance, there was a beautiful house that was I think 1k L a week with 333 prims. But I didn’t want to furnish it – it’s a vacation, not a permanent residence. The house we are staying in is 850L for 40 prims. But to tell you the truth, I haven’t felt the need to take anything out of my suitcase except my clothes. I have noticed lately that there are a number of people who are feeling stressed, just by reading various SL social media sites. Bloggers feel the need to attend all of the events and blog all of the things. Designers are not only striving to maintain and improve their products, but they have to do this while meeting the needs of all of the various events in SL. Club owners I feel always feel some sort of stress because there is always something happening that can possibly take away from visitors having a good time at the club. And of course, there is always issues that come up in relationships (friend or intimate) that can threaten the peace. In my observations, some people have decided to take a break, and others are starting to suffer either mentally or physically. One of the reasons why some of us get stressed is because it is easy to get involved in various projects in SL – that is if you know where to look. As we pile on project after project, all the individual stressors take their toll on us mentally. I think this is why I feel like I don’t have anything to blog, even though I can look on my to-do list and find that there are plenty of topics that I can blog about. When this happens, I try to talk about something that’s happening with me right now to break out of feeling this way. One thing that I learned while being on vacation is that I definitely need more winter clothing. I decided to wear one of my favorite outfits on my first day. Take care for now, and stay tuned! Bring on the Hair Fair! Many of you have been waiting for the Hair Fair to take place. Don’t worry – I’ve been one of them. But I think my roommate takes the cake on how long she’s been waiting 😀 The 9th annual Hair Fair runs from July 12th to the 27th. For those who like to shop at charity events, you will be happy to know that a certain percentage of the proceeds goes towards Wigs for Kids. Each merchant has designated a certain amount of their earnings to donate to charity, so you would have to look to see what percentage your favorite hair designer has decided to donate. So, there are 4 main sims – Rhodium, Platinum, Iridium, & Osmium. Hey, I like the periodic table, especially this one. But I think Brunette, Blond, Noirette, and Redhead make for much better names, don’t you think? 🙂 . If you look on the Hair Fair website, every store has been mapped out for you, and the slurl shows you where the store is. Why not take you there directly, you ask? Well, no matter what landmark you use, everyone lands at the landing point – just use the beacons to guide you to where you need to go. My first hair to kick off Hair Fair is the one from Moon by Silent Acoustic. When I tried on the ombre shades, I loved how the colors made my eyes pop. I also wanted to blog this hair because I figured everyone else would be blogging the more well-known stores first. coldLogic is having a 50% off sale currently. Since the E2V vendors were not functioning properly over the past several days, the sale has been extended. So I figure you have a day left to take advantage of the great prices. coldLogic makes some of the best mesh in Second Life – I think everyone that wears mesh clothing should own at least one thing at this store. I thought this meme would be fun to do…what does your avatar do after you log out? But…why do the pants have to be so tight…and the heels so high? Yes! Finally I can get out of this clothing!. Beauty is pain, my foot! And speaking about my foot…if I didn’t soak and lotion my feet every time SHE logs off, I would have the most painful feet ever! Have you seen pictures of people who wear high heel shoes all the time? It’s just not normal! So let’s see…I’m going to wear….what can I wear in this closet…oh yes! I will wear this baggy shirt…and these pants. You would think they would be sweats, right? Well, even my sweats are tight! Who does that, anyway? After washing all of the product in my hair out, I think I’m just going to jam my hat on my head and head out somewhere. NO, I will not be going shopping. I don’t even LIKE shopping all of that much. Do you know how many unopened boxes that I have in my inventory which contents have never seen the light of day? I can open my OWN store from this inventory and make a killing off sales. I don’t mind my nails…a girl has to treat herself every once in a while. But all of this makeup has to go! Ah…a clean fresh look is always in style. Now what to do? I know! I’m going to lay out on the couch, eat sugary snacks, and doze off watching movies. I NEVER get to rest anymore…sigh. You know, if you think about something enough, it has a tendency to manifest itself one way or another. For a while now, I have been thinking on how to express more thoughts on my blog instead of just putting up photos of my latest purchases and stylings. Then Strawberry Singh came up with a fun meme about sharing some facts about yourself in Second Life. So, let’s start with..
SL Fact # 1: I don’t like being bored in SL, so I will always find something to do. On the rare occasion that I don’t have anything to do, I get a lot of “Omg! YOU’RE bored?” and “No way!” comments. SL Fact # 1.5: Especially because of that experience mentioned previously, I have no problems messaging my friends to see how they are and what they are up to in SL. SL Fact #3: I love jewelry so much that I’m in 4 different groups inworld for it. SL Fact #5 : I feel odd when I don’t have on nails or some sort of stiletto heels. SL Fact #6 : I love prim food and drinks ^^ especially food that gives out items that you can eat. My favorite is my bottle of Fremont wine…for a long time I would sit out on the patio and relax with glasses of wine as I did other things (either in world or on the internet). I remember my old boss invited me for breakfast at her place, and it was fun talking and relaxing over a nice meal. As much as I would love to be readily available to respond to your Im sometimes it may not be possible. RL is crazy and unpredictable so I may not have the chance to set my busy/away status or even give you a brb. So if I do not respond immediately please don’t take offense, I am not ignoring you. Rl has just decided to interrupt and RL always comes first. If this is unacceptable to you, you know where the remove button is on your friends list. Did you make it this far? Yay! I added pictures so it wouldn’t seem too long…plus since I haven’t blogged in a bit I wanted to make it up to you guys 🙂 That’s it from me though…see you soon! Hey guys! I just finished shopping at the coldLogic sale (last day for 50% off the entire store! ), and I decided to take a stroll on the MAYFAIR sim. I managed not to visit any clothing stores (for now anyway :P), but I do like to shop mainly when I come here. After snowstorm Nemo had me shoveling snow for over an hour yesterday (why did they have to name it after the cute fish in Finding Nemo, anyway? 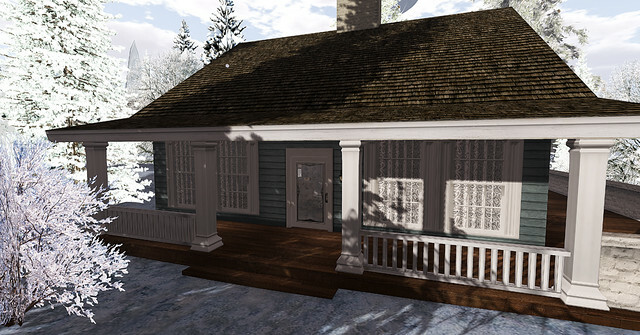 ), it’s nice to be able to dress fashionably warm on Second Life…with NO SNOW! Okay – that’s all from me for now…stay warm guys!